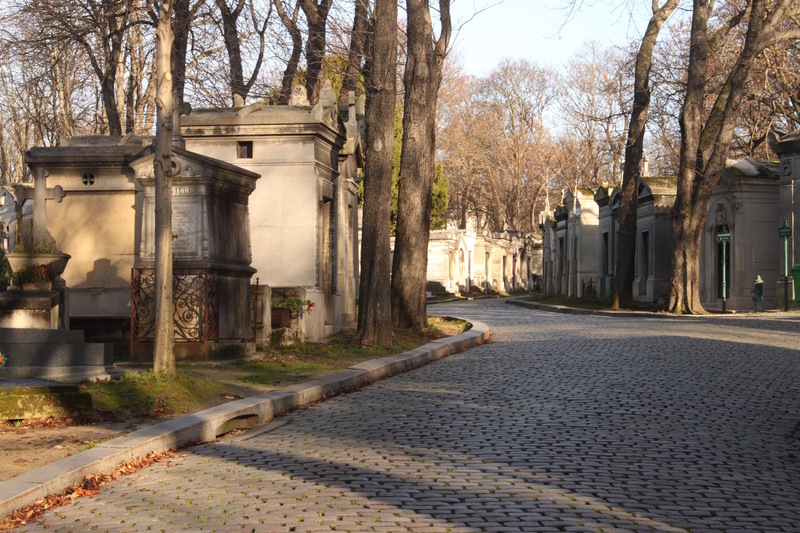 Pere Lachaise is a cemetery unlike any one you have ever seen before. It’s full of trees which cast their dappled light on the thousands of graves. Located in Paris, many famous people rest in peace here. 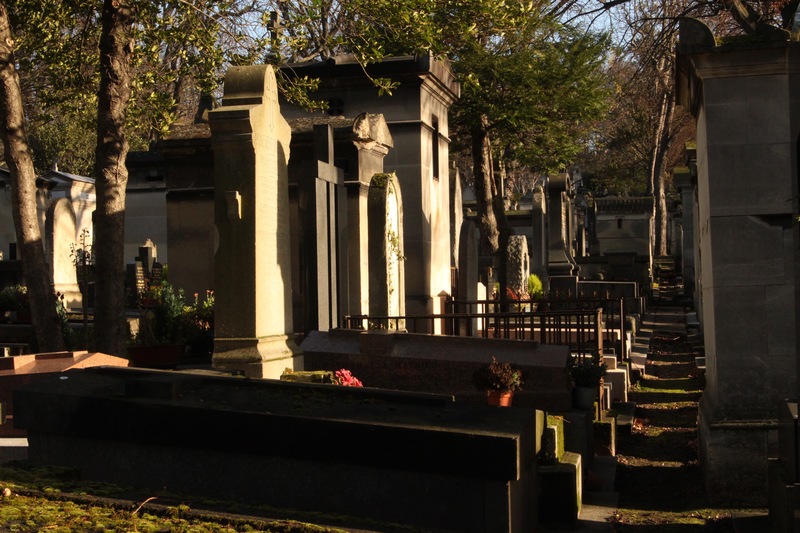 One of the largest and more famous cemeteries in Paris Père Lachaise Cemetery is located in the eastern part of Paris in the 20th arrondissement. It was opened to the public in 1804 to help with over crowding of cemeteries in the city center. At first the distance from Paris (at this point in history Paris was much smaller than it is today and did not include the cemetery) was a disadvantage as people did not want to travel far for a burial. To try and increase the popularity of the cemetery the remains of La Fontaine and Molière were moved here as well as famous lovers Pierre Abelard and Héloïse d’Argenteuil. After this it became and has stayed very popular to be buried here. 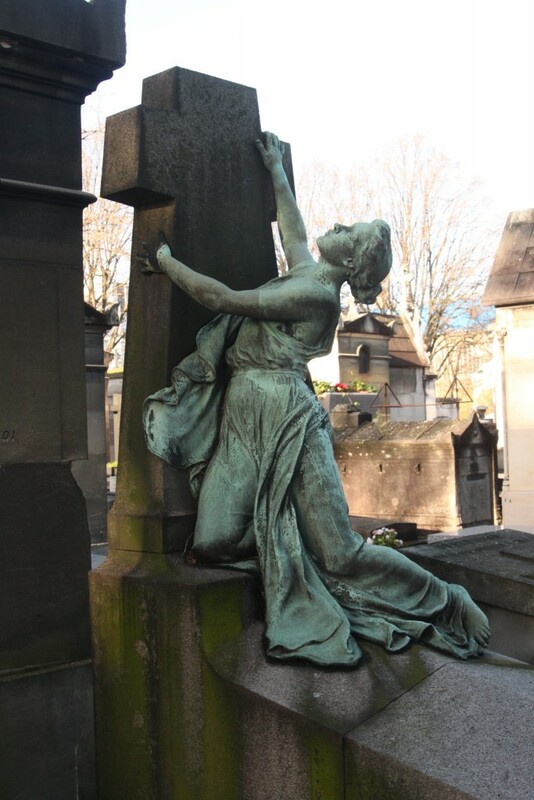 There are two main reasons to visit Père Lachaise Cemetery. This first reason is to visit one of the many famous people’s grave located here. It is worthwhile to do a quick google search before visiting to see the whole list of notables buried here. Below is a very short list of those that a popular graves to visit. Camille Pissarro – An influential painter in both the Impressionist and Post-Impressionist movement. Edith Piaf – Very famous 20th century singer. Particularly well known for her song La Vie en Rose. Eugene Delacroix – a French Romantic artist remember for his passionate paintings of current political events in France and of Northern Africa. Jacques Louis David – An influential French artist during the French Revolution and First Empire under Napoleon Bonaparte. Jim Morrison – lead singer of The Doors, this is probably one of the most visited graves in Père Lachaise. Oscar Wilde – Famous Irish author and playwright know for hist works such as The Picture of Dorian Gray or The Importance of Being Earnest. Serge Gainsbourg – diversely talented and immensely popular French musician of the 20th century. The second reason to visit is to simply wander the vast site and enjoy the countless beautiful mausoleums. It is certain that no matter what direction you go you are certain to come across countless fascinating tombs and mausoleums. If you choose to visit it on a sunny day, you’ll be presented with countless beautiful photos waiting to be taken. Père Lachaise Cemetery is a perfect place to stroll along the little paths and admire the graves in a peaceful cemetery like that out of a fairytale, gnarly old trees, crows and everything. 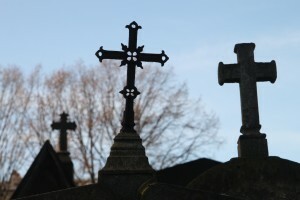 Another other great way to visit Père Lachaise is to take one of the guided tours of the grave yard. As it is such a vast cemetery it can be very easy to get lost and miss some of the famous graves you might want to see. However with a guide you will be certain to see it all. If you are interested in this we suggest you take a look at this page for whichever option best fits you. Père Lachaise Cemetery can be reached along lines 2 and 3. The stop Philippe Auguste on line 2 is located near to the main entrance. 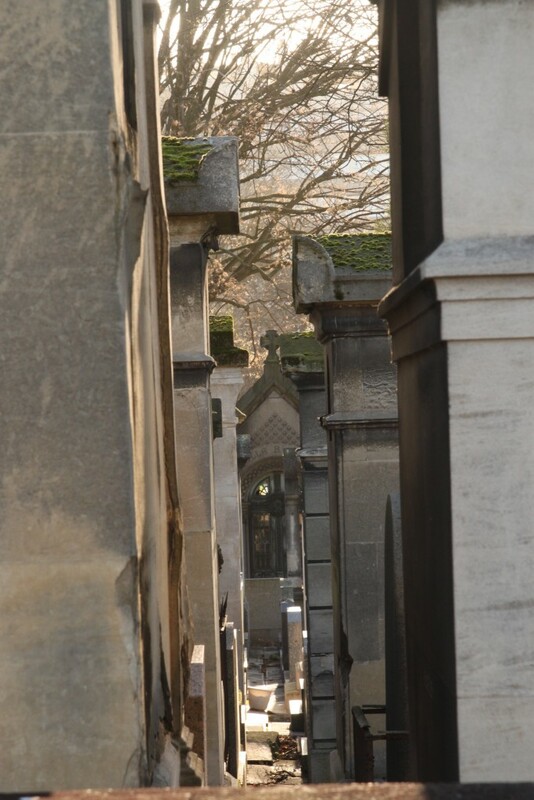 Whereas the stop Gambetta along line 3 is sometimes preferred because it is located near the entrance closest to Oscar Wilde’s grave and then allows the visiter to explore the visit the rest of the cemetery traveling downhill instead of having to climb the stairs. The Musée d’Orsay is an art museum located in the 7th district of Paris right on the left bank of the Seine. The museum is home to major works from the 19th and 20th centuries. Before it was the Musée d’Orsay it was the Gare d’Orsay, or in English, the Orsay Train Station. 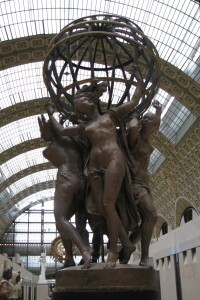 From 1900 to 1939, the Gare d’Orsay was one of the most important train stations serving France. As train travel became more popular nationally and internationally, the Gare d’Orsay couldn’t keep up with the new technology and eventually shut down. It then ran as a hotel until 1973. A few years later in 1977, it was decided that the Gare d’Orsay would become the Musée d’Orsay. Now, the museum is home to works by Vincent van Gogh, Claude Monet, Jean François Millet, Auguste Rodin, Pierre-Auguste Renoir, and many other exceptional artists. The Musée d’Orsay houses six collections: painting, sculpture, photography, graphic art, objets d’art, and architecture. Thus, there is something to see for everyone who visits. The central passageway of the rez de chaussé, the first floor, is lined with magnificent 19th century sculptures. These meticulously crafted marble, brass, and plaster sculptures are sure to take your breath away. When you enter, you will first be greeted by Jean-Baptiste Carpeux’s “The Four Parts of the World Holding the Celestial Sphere.” As you continue down the passage, you will see the “Seated Lion” by Antoine-Louis Barye and his sculpture of Napoleon I as a Roman Emperor. 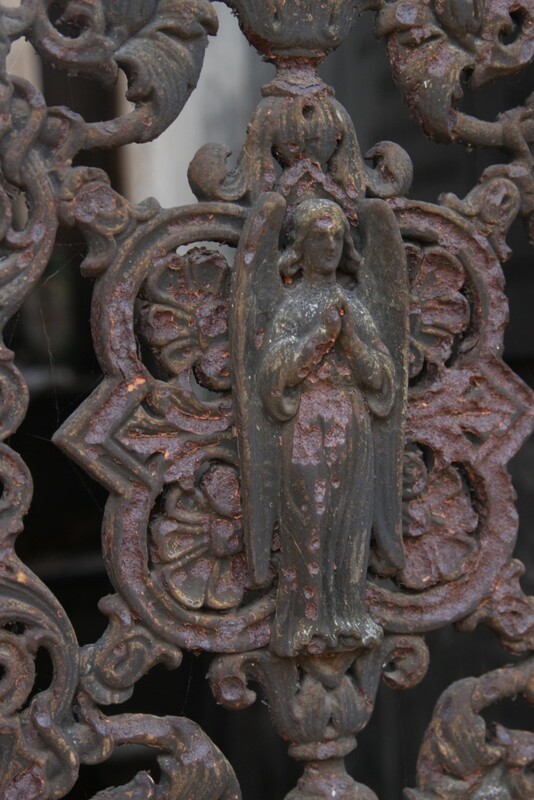 At the end of the passage, you will find a collection of sculptures by Jean-Baptise Carpeux. The rez de chaussé sets visitors up for an exciting and informative museum visit. The second floor is home to more artwork as well as the museum’s restaurant. This restaurant has been in operation since the days of the Hotel d’Orsay in the early 1900s! The chef prepares traditional French fare and you dine under beautifully gilded ceilings and sparkling chandeliers. If you’re interested in eating at the Musée d’Orsay, be sure to call and make a reservation in advanced! On the fifth floor, you will find the museum’s extraordinary Impressionist Gallery. The natural light from above as well as the gallery’s dark grey walls allow visitors to take in all of the nuances found in some of the most famous impressionist works from the 19th and 20th centuries. 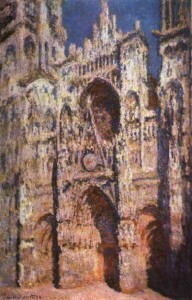 You will find Monet’s “Cathédral de Rouen” light painting series, “Gabrielle with a Rose” by Pierre-Auguste Renoir, and Alfred Sisley’s “View of the Canal Saint-Martin” along side the works of Camille Pissarro, Berthe Morisot, Paul Cézanne, and Édouard Manet (plus many more). This is a must-see gallery. The Musée d’Orsay often hosts exhibitions alongside its permanent collections. Currently, as of Spring 2016, there is an exhibition on Henri Rousseau titled “The Douanier Rousseau: Archaic Candour” which explores Rousseau’s unique style. The museum also hosts a number of concerts, shows, and cinema spectacles. Make sure to check the Musée d’Orsay website to stay up to date on current exhibitions and events. 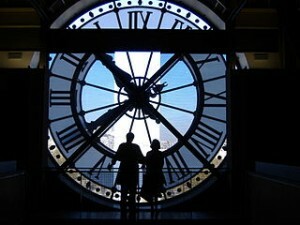 One quick note: before you leave the Musée d’Orsay, take a picture at the clock window! It is the perfect place for a photo-op. The Musée d’Orsay is open 9:30 a.m. to 6 p.m. everyday except Monday. The museum is closed on Mondays. There are multiple ways to get to the Musée d’Orsay. You can take RER C to the Musée d’Orsay stop. The museum is also accesable via Metro Line 12, stop Solférino. Busses numbered 24, 63, 68, 69, 73, 83, 84, 94 all stop at or near the museum, as well. If you will be driving, there is a car park at the Carrousel du Louvre or Bac Montalembert. For help planning your trip, check out the RATP public transportation website. If you’re interested in visiting the Musée d’Orsay, contact us today! Looking for things to do in Paris? Check out these articles.